Star Wars is a big deal for a lot of people and J.J. Abrams has compared it to a religion, which isn't a stretch of the imagination by any means. 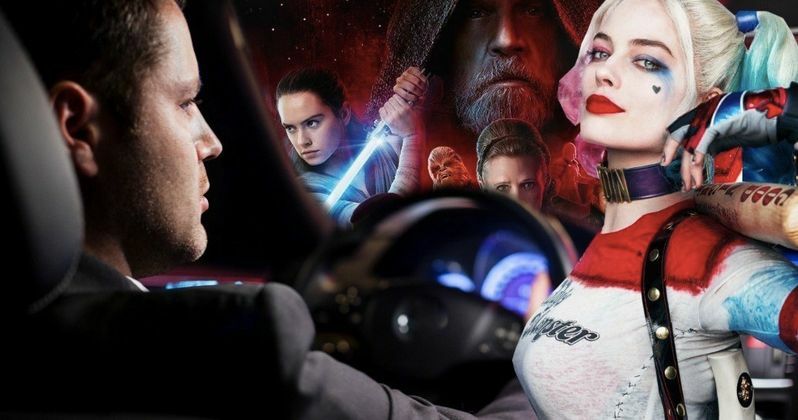 But a Florida Uber driver showed his devotion to Star Wars when he declined a personal invitation from Margot Robbie and her husband to join them at a private house party in Miami and instead went to go see The Last Jedi with some friends. Depending on who you ask, he may have made one of the biggest mistakes in his life, but he's got a good story at the very least. Robert Bregnsdal from Gold Coast, Queensland, got to talking with Margot Robbie and her husband Tom Ackerley Carrara on an Uber ride to Miami Beach on the day after Christmas. Apparently, the three hit it off so well that Robbie, who is also a DJ by the name of Taglo, invited him to the house party they were traveling to. In an interview with the Sun, Bregnsdal told the story and revealed how nice Robbie and her husband were and that he was taken aback when they invited him to the party. He had this to say. "(She said) 'What are you doing now? Come with us to this house party! They are really nice people I think you'll fit right in.' She was so casual and normal, didn't act stuck up or anything and was really chatty. I thought maybe it's not her because she's way too nice to be a big star." Robert Bregnsdal said that he thinks that they invited him to the house party because he didn't treat Margot Robbie and her husband like they were huge stars. Instead, they made small talk and Bregnsdal said they discussed the finer points of a particular dirty word as well as her fondness of Smirnoff Double Blacks, which are 16oz cans of a blend of triple distilled vodka and citrus flavored soda. Instead of joining Robbie and some of her friends, Bregnsdal decided to go and see The Last Jedi, 2 weeks after the movie had been in theaters. The Uber driver also admitted to catching some flak from his girlfriend and his friends. His girlfriend told him to make up a story to run into the party with an empty wallet, but he had made up his mind and stayed true to Star Wars and his friends. Robert Bregnsdal said that his friends teased him mercifully, which makes complete sense, for not going to a big house party with one of the biggest actresses in Hollywood. But instead of partying with Harley Quinn, he decided to go party with Rey and Rose Tico. Robert Bregnsdal says that he does not regret his decision at all (yeah, sure buddy). He said, "I don't regret going to watch Star Wars with the lads at all. It was epic," which might be the best review of The Last Jedi thus far; man who turned down chance to party with Margot Robbie says that The Last Jedi is "epic." Somebody needs to get Lucasfilm aware of this story and throw that quote on the posters and TV spots. Anyway, you can read Robert Bregnsdal crazy Uber adventure via The Sun U.K.